Editor’s note: The Carr Fire burning in Northern California began on July 23, 2018. It is currently the fifth most-destructive fire in state history, with seven fatalities reported and more than 177,000 acres burned. Tens of thousands have been evacuated. 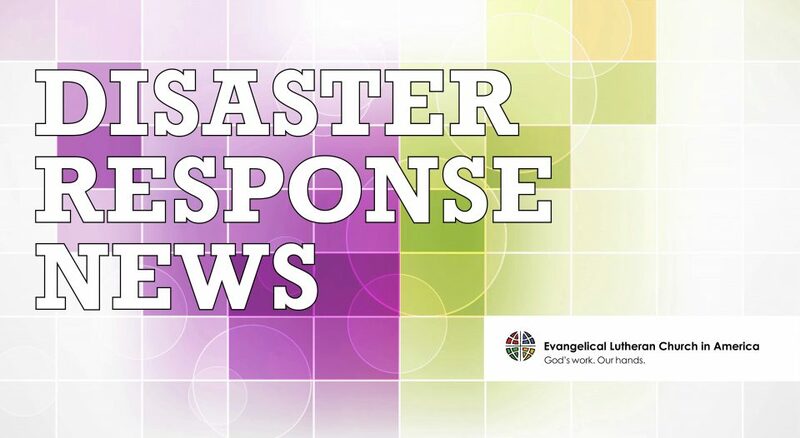 Lutheran Disaster Response is working with Lutheran Social Services of Northern California and the Sierra Pacific Synod to respond to wildfires in the area. Please consider donating to help deliver a robust response in addressing the needs of the devastated communities. Gifts designated for “U.S. wildfires” will be used for those affected by wildfires until the response is complete. Here, we share a post from Mark Holmerud, bishop of the Sierra Pacific Synod, which has been heavily impacted by the fires. A “new normal.” That’s how Gov. Jerry Brown described the 17 fires that are currently burning throughout California. Nevada has had similar increases in fires over the past few years. State fire officials describe increases in the number of fires each year and in the size and incidents of “erratic behavior” of these fires. We have all seen the destruction that has been visited on Santa Rosa and Napa, Yosemite, Lake and Mendocino counties and now in the Redding area. Last Monday, I met with Bob Swartz, pastor of St. James Lutheran in Redding, and together we attended a briefing by the California Department of Forestry and Fire Protection (“Cal Fire”) on the fire burning west of Redding. It provided residents in the area the latest information about where the fires were burning as well as information about evacuation orders. Many of the people in the room had already lost their homes; many others had no idea if their homes were still standing because they hadn’t been allowed to return to evacuated areas. Emotions in the room were very high as people tried to deal with the devastating losses so many had suffered, including the loss of seven lives. I imagine similar briefings for people with similar emotions and a sense of loss are being held in other places around the state. It will take many years for communities to recover from the losses we have seen. Another part of the “new normal” Gov. Brown referred to is not only about the occurrence of fires but about the aftermath of these fires and how people and communities are affected for years after the fires. It will take many years for communities to recover from the losses we have seen. And this is where Lutheran Disaster Response (LDR) truly makes a difference. It is said that LDR is one of the first agencies to show up at a disaster and the last to leave. We have seen this over the years in the wake of fires, hurricanes, floods, earthquakes and other disasters. Please hold in prayer the people of Redding, Yosemite, Lake and Mendocino counties and other areas where fires are now burning. Please also remember to hold in prayer the people of Napa and Santa Rosa and other areas where fires of past years are still having an effect as the people of these communities try to rebuild their lives. Thank you for the way you already have made your continuing prayers and financial support our “new normal” as people of God called to be the presence of Christ for those in need. Mark Holmerud is the bishop of the ELCA Sierra Pacific Synod.